Washington Post Unveils New 'DARKNESS' Slogan Declaring War on Trump, BACKFIRES Big Time! Washington Post Unveils New ‘DARKNESS’ Slogan Declaring War on Trump, BACKFIRES Big Time! The Washington Post is one of the most liberal publications available in the United States which is completely evident by the fact they ignored history and facts when coming up with their new slogan. The Washington Examiner was quick to point out how idiotic the Washington Post’s new slogan is because American democracy was born in darkness. 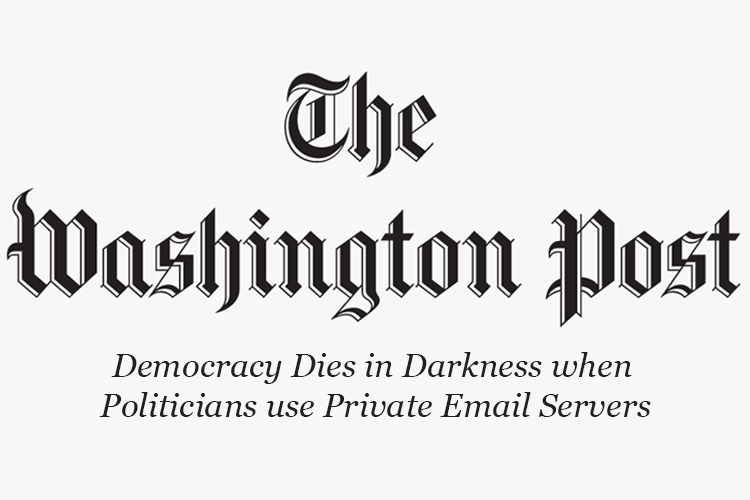 To much fanfare this morning, the Washington Post rolled out a new slogan on its website: “Democracy dies in darkness.” And while that rolls nicely off the tongue like a Hallmark greeting card, there’s one problem. At least on this continent, democracy was born in darkness. Literally. In another article published by the Washington Examiner on Wednesday, the Washington Post claims that their new slogan has absolutely nothing to do with President Trump. As noted by the Examiner, the Washington Post has been around for 140 years and has never once had a slogan despite existing through both World Wars, the Great Depression, Cold War, Vietnam War, War on Terrorism and the 8 years of the Obama administration. But after 1 month of Donald Trump being President of the United States the paper felt it was appropriate to create a slogan that insinuates that democracy is dying. I asked Gannon how the Post decided on “democracy dies in darkness,” and why the paper is doing this now. In particular, is there some aspect of our current political situation that motivated the Post to do this? I asked again: Is there some aspect of our current political situation that motivated the Post to do this now? “We launched this when we launched on Snapchat Discover because it was reaching an entirely new audience for us,” Gannon said. Take that as a no. Many readers will find it difficult to believe that the introduction of “democracy dies in darkness” was spurred by new tech platforms and not, say, by the presence of Donald Trump in the White House. Like other elite media organizations, the Post has displayed more than a little hysteria about Trump, and the sudden appearance of “democracy dies in darkness” just feels like it might have some little something to do with the new administration and a new atmosphere in Washington. How should people interpret the comments from the Washington Post’s spokeswoman Molly Gannon about the slogan not pertaining to the Trump Presidency? She is lying. 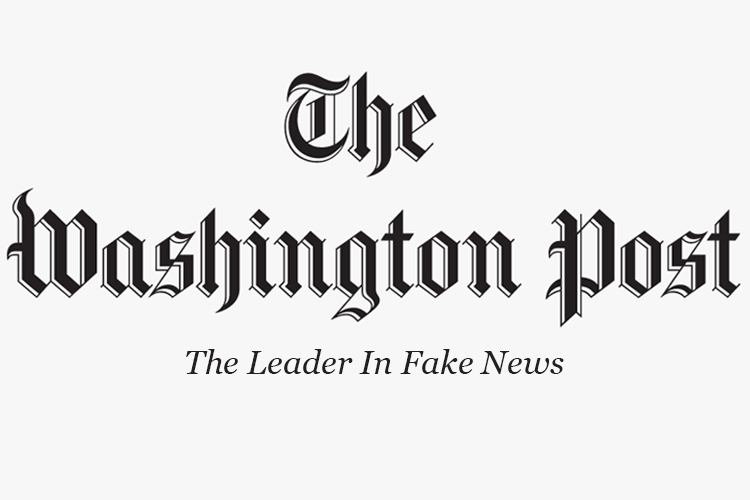 The Washington Post needs to change it’s slogan to: The Leader in Fake News.